I was never a big costume jewelry person, mainly because I completely forget to take it off when I shower or wash my hands and it quickly it turns. 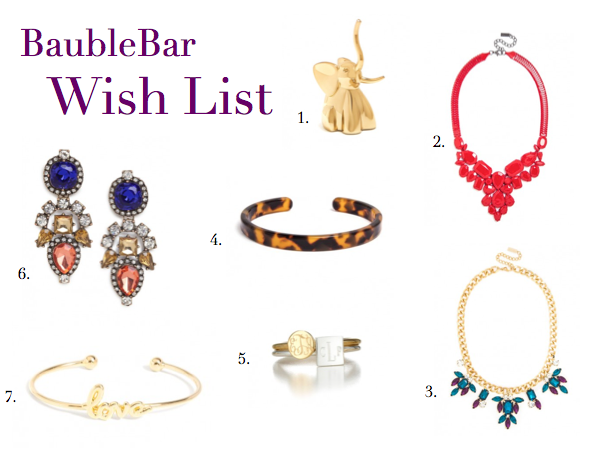 Baublebar is my exception. I love this website, its like a big candy store except its all jewelry. Colorful, gaudy, simple, elegant, they have it all. This has become my go-to website for all things jewelry. Tags: aael, Baublebar, bracelet, Fashion week, jewelry, necklace, rings, sale, shopping. Bookmark the permalink.